A robbery suspect, Chukwuma Okoro, has confessed before security operatives that he went into robbery to enable him pay the N300,000 bride price demanded by his wife's family. Chukwuma made the confession while being paraded on Wednesday by Ondo State Police Command alongside three others identified as Ezenwa Raphael, Chukwudi Oruma and Thomas Onofuapo. 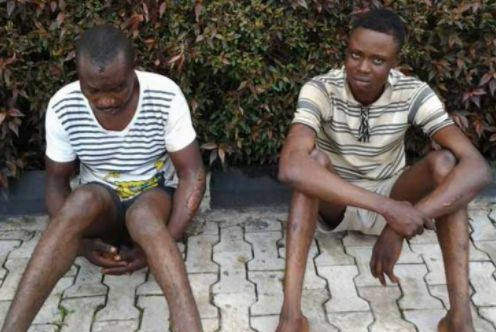 Speaking while parading the suspects, the State Police PRO, Femi Joseph said Chukwuma and others were among the armed robbers who had been terrorising the state in the recent time. Specifically, he said Chukwuma allegedly attacked a girl who was carrying N500,000 to the bank and as he was trying to forcefully collect the money from the girl, he was arrested by passers-by. The PPRO added that a pistol and five live carriages were found on Okoro. Chukwuma, who was a vegetable seller in Akure, explained that his efforts to satisfy his wife pushed him to robbery. He said he wanted to pay a N300,000 bride price demanded by his wife’s family. His confession: “It is my wife that pushed me into it, I have never stolen in my life, this is the first time, she ran away from my house since three weeks ago and I have been begging her to come back, so I started looking for money to pay her bride price before she comes back." The police spokesman said the suspect would soon be charged to court.